A good white wine can be everything you need to turn your meal from ordinary to incredible. That’s why FIREBREW Bar & Grill proudly offers our unique Wine Station to our guests. Our Wine Station gives you, the customer, the power to choose any wine of your liking and have anywhere from a small taste to a full glass. If you are interested in giving the FIREBREW Wine Station a try at your next happy hour, then be sure to stop in and see us! Making the decision on which wine you’d love to indulge in this afternoon may seem a bit overwhelming, but we are here to share with you some popular white wines you are sure to love. Ask us which ones we have available, and pour a glass for yourself! 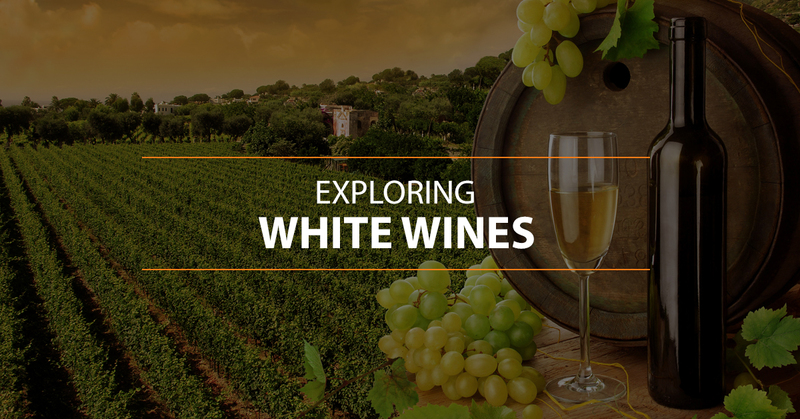 This wine is one of the oldest and best white wine grape varieties! Sauvignon Blanc wines differ from most whites in flavor due to the “green” flavor with many herbal tastes. Less ripe Sauvignon Blanc wines usually taste strongly of green apples and lime, while those riper grapes will usually present more of a peach or passion fruit flavor. These flavors are the primary ones, but underneath, you can catch hints of gooseberries, grass, jalapenos, and bell peppers. Riesling is believed to have been created in Germany near the Rhine River, and it is known for its delightfully fruity scent. You can smell a Riesling’s hints of pear, honey-crisp apple, peach, and nectarine. You might believe that all Rieslings are sweet, but we have to disagree – they come in a variety of flavors that range all the way from quite dry to exquisitely sweet. The best Riesling wines are those that balance the acidity and the sweetness to perfection. As the sweetest of the white wines, it is also one of the most popular! These flavors can vary greatly, but the strong fruity tastes can include a balance of nectarines, apricots, peaches, lemons, and oranges. The less noticeable (but still there) flavors can include jasmine, vanilla bean, caramel, and rose. The sweetness of this wine makes it a crowd favorite every time. This is easily the most famous of the Italian and French white wines. This wine is usually lighter in flavor with peach and pear flavors. Many people recommend enjoying this wine with a roast chicken or even turkey at a holiday meal. This is one of the most famous types of wine in the world, and it is made in many different ways to match everyone’s tastes. Whether you choose oaked or unoaked Chardonnay, you won’t be disappointed. The riper the wine, the more likely you are to taste pineapple, mango, and apricot. If it is less ripe, you’ll experience more of a lemon or green apple flavor. If you are ready to come down to FIREBREW Bar & Grill to try our Wine Station, then come see us today! We look forward to serving you and your friends and giving you an afternoon of fun and laughter.